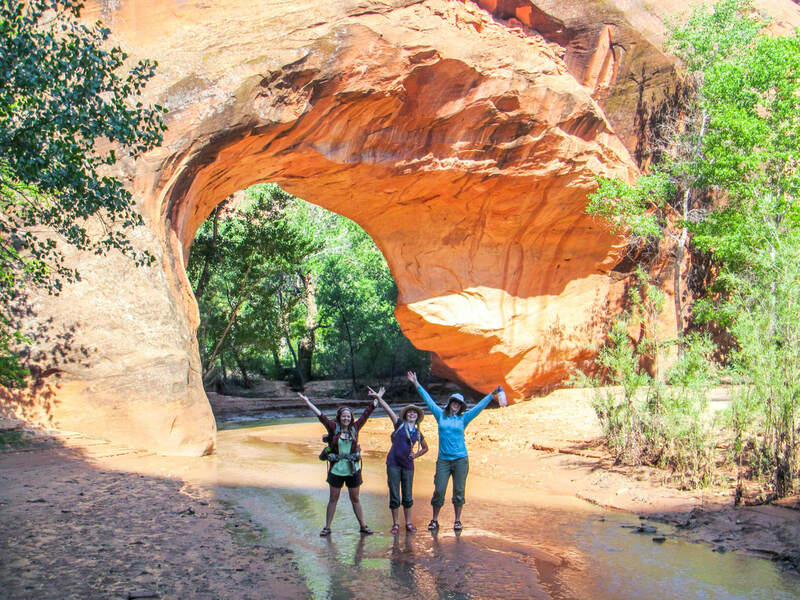 Throughout all of Southern Utah, there is one backpacking trip against which all others are compared. Coyote Gulch is this trip. A demanding outing in a true wilderness setting, Coyote extracts a worthy price of admission. Yet it claims a payout exponentially higher. Hikers should prepare themselves to experience an outing that never fails to impress. ​Massive arches, ancient ruins, natural bridges, deep alcoves, waterfalls and stunning sandstone cliffs mean that mile for mile this canyon produces an aesthetic experience unrivaled in all but a few remote corners of the globe. Come experience this life-changing trip with us. As to the specifics exactly, this will be taken on a case-by-case basis after collaboration between the hikers and guides. "If I could give six stars, I would...We had a great adventure, beyond our expectations. The land of red/orange sandstone, blue sky and green cottonwoods was breathtaking."